Bea (Charlotte Salisbury) is a shy and awkward tween girl from Toronto who travels with her mother (Delphine Roussel) to a small town in Northern Ontario, where her father (Christopher Bolton) has inherited the local diner. While her parents struggle to patch up their fraying marriage, Bea strikes up a friendship with Katie (Lucinda Armstrong Hall), a local girl with a troubled home life, and the two of them start exploring their blossoming sexuality. 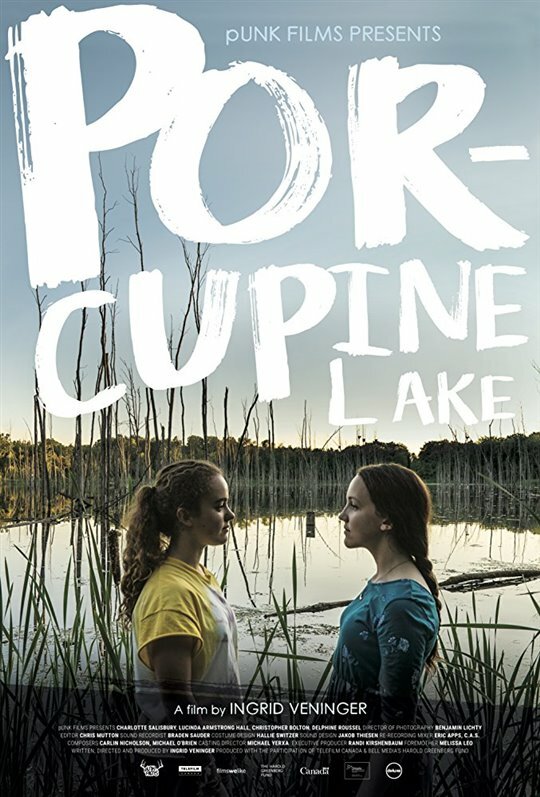 Written and directed by Slovakian-Canadian indie filmmaker Ingrid Veninger, crafting her most easily accessible work to date thanks to the help of executive producer Melissa Leo, Porcupine Lake is a small Canadian film that sadly offers nothing new to the coming of age genre, and fails to even provide an interesting take on its familiar adolescent themes. The characters here simply aren’t well enough defined for the film to work, with various traits and quirks that feel shoehorned in. Like Bea’s fainting condition, which only seems to be there to give her mother another reason to be overprotective. Equally ill-defined is Katie’s psychopathic older brother (Harrison Tanner), who acts erratically and often lashes out violently, which the film blames on an acquired brain injury, leading to a completely needless (but obviously fake) scene of animal abuse. The cinematography is good, but ultimately can’t mask the various elements here that really don’t work, and it doesn’t help that the performances from both the young leads and the adults around them often come across as distractingly amateurish. A Canadian coming of age movie should have been right up my alley, but Porcupine Lake is both too clichéd and not well enough written to be compelling. Porcupine Lake is now playing in limited release at the Carlton Cinema in Toronto.